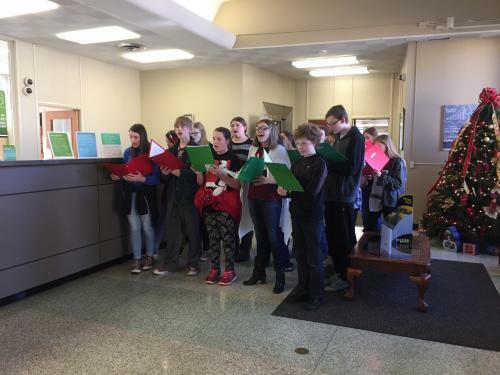 The Clinton Junior High Choral Department is comprised of Junior High Choir (grades 7-8) and Sixth grade beginning choir. These groups are open to all students and help prepare students for participation in Senior High Choir (9-12). In addition to regular choir, the choir has small auditoned ensembles. Jacket Harmony is a Senior High auditioned ensemble. FUSION is a combined, typically non-competing auditioned ensemble of Junior High and Senior High choir members. Auditions for these ensembles are held each spring. 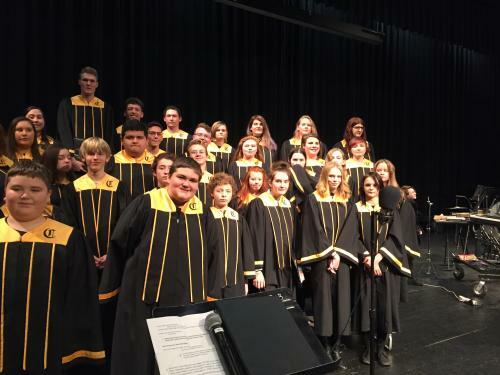 The choirs perform in a concert each semester as well as providing entertainment for various community events throughout the year. Eligible choir members may audition for All Region and All State choirs in the fall. The Junior and Senior choirs compete with other choirs in our region at Choral Performance Assessment in the spring semester. Eligible senior choir members may choose to participate at State Solo and Ensemble competitions held each April.